The RISE Learning Institute, under the leadership of Dr. Gita Bangera, has grown from its initial focus of supporting Research opportunities to also encourage Innovation both within and outside the classroom, facilitate the greater integration of Service and community engagement into the BC culture, and promote a wide range of Experiential learning opportunities for students. In mid-2015, the Center for Career Connections was moved into RISE, allowing it to strengthen and broaden the resources it provides to students. Partnerships with the Library Media Center on the Collaboratory and with the Faculty Commons on Service-Learning , along with other collaborations across and beyond campus, help the RISE Learning Institute achieve its goals of supporting faculty, students, and the community. In 2018, the nationally-recognized Autism Spectrum Navigators program joined RISE through the Center for Career Connections. 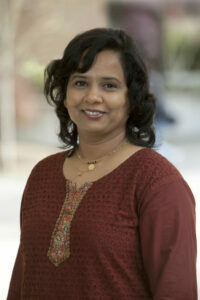 Dr. Gita Bangera is the current Dean of RISE, as well as the Interim Vice President for Instruction at BC. Dr. Bangera has a depth of experience in both academic and applied research settings, which are central to RISE’s efforts to propel Bellevue College forward as a regional destination. Dr. Bangera was awarded her B.Sc. and M.Sc. in Microbiology from Bhavan’s College and the University of Bombay respectively. After moving to the U.S., Dr. Bangera received a further M.S. in Biological Science from Carnegie Mellon University and a Ph.D. in Microbiology from Washington State University. Since completing her education, Dr. Bangera has been immersed in the world of research. She conducted postdoctoral research at Harvard Medical School and worked as a Senior Scientist at Combimatrix, and she has involved BC students in research during her as Chair of Life Sciences and Assistant Dean of Sciences here at Bellevue College. In addition, Dr. Bangera has been published in leading academic journals including Nature and holds several patents. In terms of getting undergraduates engaged in research, Dr. Bangera also has a wealth of experience. She served on the National Academy of Sciences and National Research Council committee for organizing the Convocation on Integrating Discovery-Based Research Into the Undergraduate Curriculum. 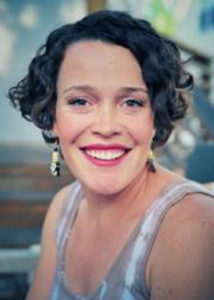 Furthermore, she is currently a fellow with the Partnership for Undergraduate Life Science Education (PULSE), as well as the principle investigator of ComGen: The Community College Genomics Research Initiative. Dr. Bangera has also spoken at the UN regarding education. Across all of these projects, the common thread is Gita’s belief that getting students involved in research in their regular courses can transform teaching and learning. Michael Reese is the Director of Program Development for the RISE Learning Institute. Michael is no stranger to BC as he worked in the Center for Career Connections as the college’s lead internship coordinator since 2010. He is passionate about helping all students access experiential learning opportunities. 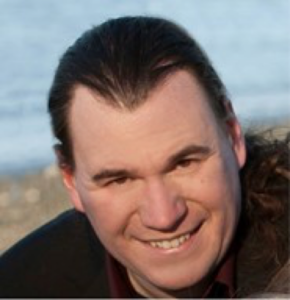 In 2016 he won awards from the Governor’s Committee on Disability & Employment and the University of Washington’s DO-IT program for his work coordinating BC’s first Disability Career Fair and helping developing a course on Finding and Preparing for Internships for the Autism Spectrum Navigators Program. He also teaches in BC’s STEM to Stern program. Before coming to BC, Michael worked as the Internship Coordinator and Capstone Instructor for the University of Washington’s Program on the Environment, and he has remained involved in work related to sustainability and environmental justice. Most days, he takes transit and rides his bicycle to campus. Michael has a ridiculously large collection of European-style board games, and he believes that BoardGameGeek is the best website on the planet. He has recently become all too familiar with a phenomenon known as the “LEGO ouch,” which is generally caused by stepping on LEGO bricks left out by his son Malcolm. Fittingly, our Associate Director for Service-Learning & Community Engagement, Sapan Parekh, has a long history of service. As a 12-year old, Sapan would don an ungainly, far-too-large chest wader and spend hours at a time counting and classifying amphibians in local swamps, just to gauge the health of King County ecosystems. 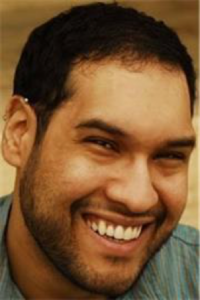 In college, his friends jested that he was getting a degree in Extracurricular Activities, because of the many social justice or diversity-focused organizations he worked in and even started. It only made sense that he would then get a Master of Arts in International Relations focused on conflict resolution and social development, and then choose to work abroad. Sapan helped to bring the Teach for America model to India, along with setting up three other ventures in the hypermetropolis of Mumbai. He tromped through slums and trained everyday Indians to become awesome teachers. He worked to help rural villagers give up dangerous kerosene lanterns in exchange for safer solar ones. He consulted with government, NGOs, and companies to help them improve livelihood development opportunities for the poor. He later became the Mumbai Site Director for the Academic Internship Council, and he brought many American and Australian students to Mumbai to intern in some of the city’s many NGOs and social organizations. Sapan loves service. And he knows that Bellevue College does, too. He is excited to work through the RISE Learning Institute to collaborate with faculty, students, and external partners to build a wider community that supports meaningful and learning-focused service for others. Irene Shaver is the Program Manager for the ComGen: Community College Genomics Research Initiative under the RISE Learning Institute. Irene is an interdisciplinary scientist with a PhD in Environmental Sociology from the University of Idaho and the Tropical Agricultural Research and Higher Education Center (CATIE) in Costa Rica. As the social science leader of an interdisciplinary doctoral research team, funded under the NSF IGERT program, she got experience with federal grant writing and management as well as collaborative team science. She and her team collaboratively wrote and were awarded an NSF Dynamics of Coupled Natural and Human Systems grant that allowed them to do a rural census, landscape-scale genetic connectivity analyses and facilitate participatory land-use planning workshops for Costa Rican stakeholders. Whether she is writing poetry with high school students as they backpack through Patagonia, teaching citizenship classes to refugees or coaching teens as they interview their peers about risk behavior, Irene is dedicated to innovative, meaningful education and to expanding authentic research opportunities for all students. Irene discovered she was a scientist in graduate school only after she realized science could be playful, surprising, creative and interdisciplinary. Designing and doing her own research allowed her to ask questions and solve problems she was genuinely interested in and challenged her to be a more disciplined, thoughtful problem solver. Research, for Irene, has been a dynamic, humbling way to learn about science, the world, and herself. For all these reasons, she is grateful to contribute to ComGen and RISE in providing meaningful research opportunities for all students through supporting faculty professional development and research initiatives. Click here to explore volunteer and service-learning opportunities!